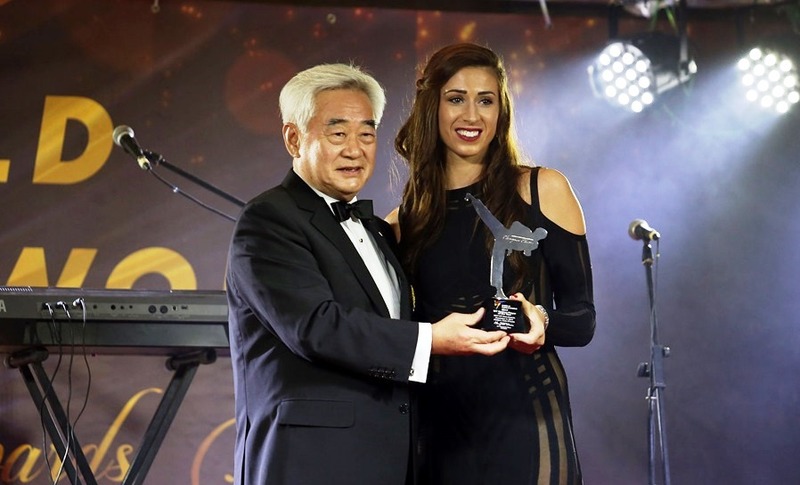 ABIDJAN, Cote d’Ivoire (Dec. 4, 2017) – On the evening of Dec. 4, Team GB’s Bianca “Queen Bee” Walkden crowned a perfect year by being named World Taekwondo’s Best Female Athlete of the Year at the federation’s fourth annual Gala Awards at Abidjan’s Radisson Blue Hotel. The normally eloquent Briton seemed overcome with emotion as she took to the podium. “I want to ‘thank you’ to everyone, I am still shocked, I am so pleased,” she said. The glittering (and well air-conditioned) gala dinner was light years away from where she had written history just two nights earlier. In the sapping heat of Abidjan’s Palais de Sports de Treichville, in the women’s heavyweight (+67kg) category, the sweat-drenched 26-year-old wielded an arsenal of stabbing side kicks, killer round kicks and arcing ax kicks to win the 2017 World Taekwondo Grand Prix Final over Team Korea’s Da-bin Lee in convincing style, 16-9. That win capped the “Queen Bee’s” earlier victories in the 2017 Grand Prix Series 1, 2 and 3, held respectively, in Moscow, Russia; Rabat, Morocco; and London, Great Britain. It marked the first time a fighter of either gender, in any weight category, had won an entire Grand Prix series – an elite-level series of four annual tournaments that invite only the top-ranked Olympic players. After a disappointing bronze at Rio in 2016, all Walkden’s stars have aligned in 2017. Unbeatable and totally dominant in her category, she successfully defended her World Championship title in Muju, Korea this summer, on top of the historic Grand Prix run. But Walkden’s taekwondo odyssey has not been easy: The road to success has been paved with pain and despair. Walkden’s first major win was at the 2011 European Championships – but her career almost ended with a torn ACL that year. “That made me miss the London Olympics which I was devastated about,” she said; she was forced to watch from the sidelines as room-mate Jade Jones captured gold. She was in recovery when – heartbreakingly – she tore the ACL on her other knee in 2014, just as she was gearing up for the 2015 World Championships. To “Queen Bee’s” credit, just eight months after her second ACL surgery, she was not only walking, she was fighting at the highest level. 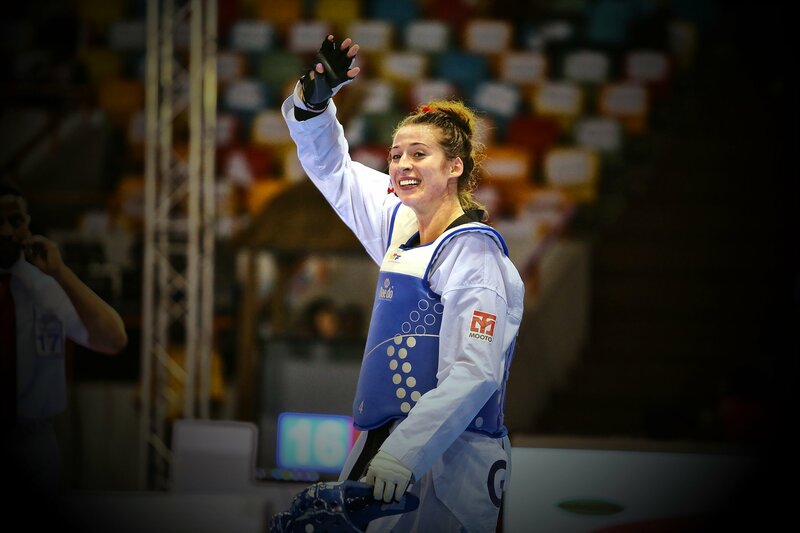 She won the heavyweight title at the 2015 Worlds against French taekwondo legend Gwladys Epangue, turning the match around in the last found seconds with an ax kick to the head. Since then, she has been on a surge. Currently, Walkden is the toast of the sport. “Everyone respects her, she is ceaseless in fighting, exerting all her energy, always putting in her best effort,” said WT Technical Director Jin-bang Yang. 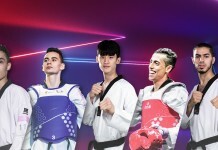 “Most coaches envy that, they want to learn from her.” She is even the envy of the sport’s top team, Korea – from whence taekwondo originated as a domestic martial art in the 1950s, before morphing into a global combat sport in the 1980s. But can she maintain her current peak through 2020? “Nothing is guaranteed in a full-contact sport with injuries, so we make sure to review every event and assess and plan to make progress,” said Hall. 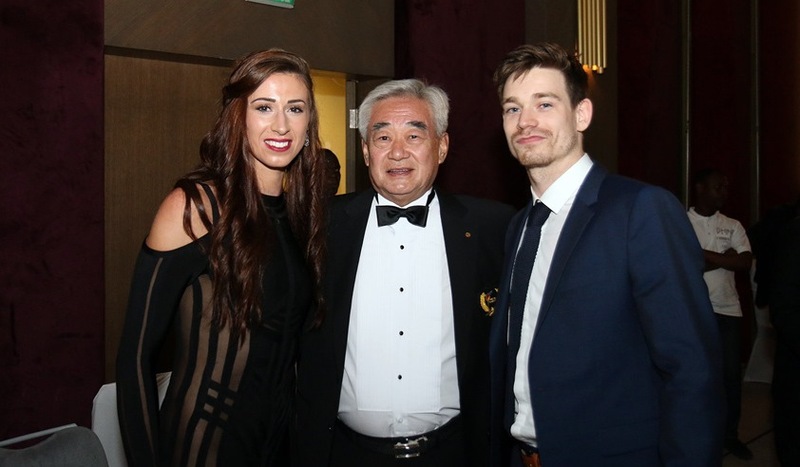 One person who will be alongside Walkden on the track to Tokyo is her superstar roommate, teammate and best mate – double Olympic gold medalist Jade Jones. Kind words are typical Walkden – one of the friendliest players in one of the world’s friendliest sports.